Susan and I have been making the Great California Loop away from a computer for over two weeks, child tending in all of our children’s houses. That doesn’t mean that we have not had some good food adventures along the way. Over the next several posts, I will describe some of those experiences. 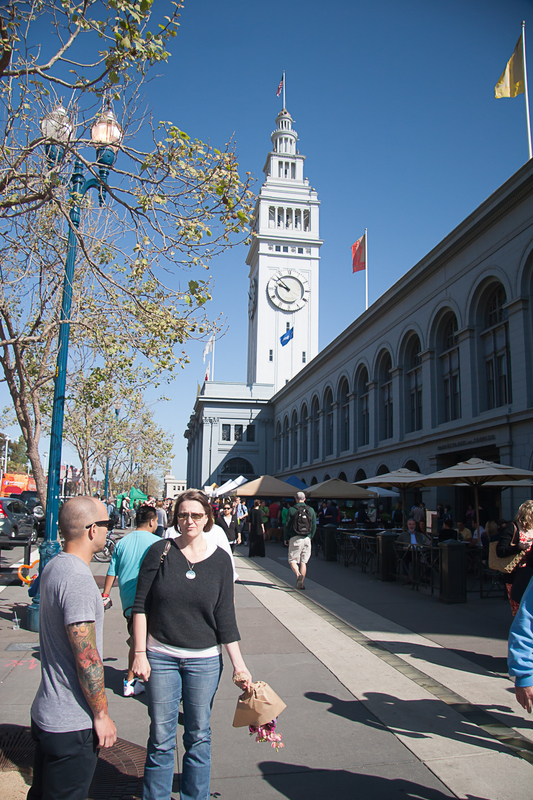 And what better place to begin than San Francisco’s famous Ferry Building Farmers Market? The Saturday edition is the most popular and crowded. It is a big-city street fair with buskers a-plenty, kids on skate boards, families with babies in strollers, and lots of tourists. If you watch carefully you can see some of the best known chefs in the city shopping for their weekend menus and visiting with one another. The main reason for the market’s popularity is the amazing cornucopia of the freshest Northern California food products, and this time of the year the choices are simply amazing. We were in a celebratory mood because Sarah and Evan finalized the contract for their new restaurant space just before we headed to the market. Sarah thought we needed to be festive so our first stop was in the bank of flower stalls at the front of the building. 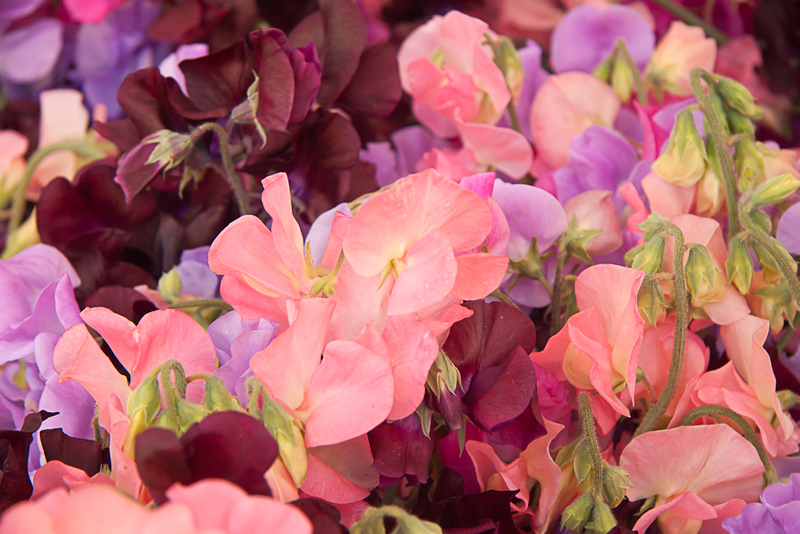 The fragrance of the sweet peas attracted us, and Sarah bought an armful of blossoms of all hues. We passed up the Asian pears and other fresh fruits because we had already opted for fresh-churned ice cream for dessert. 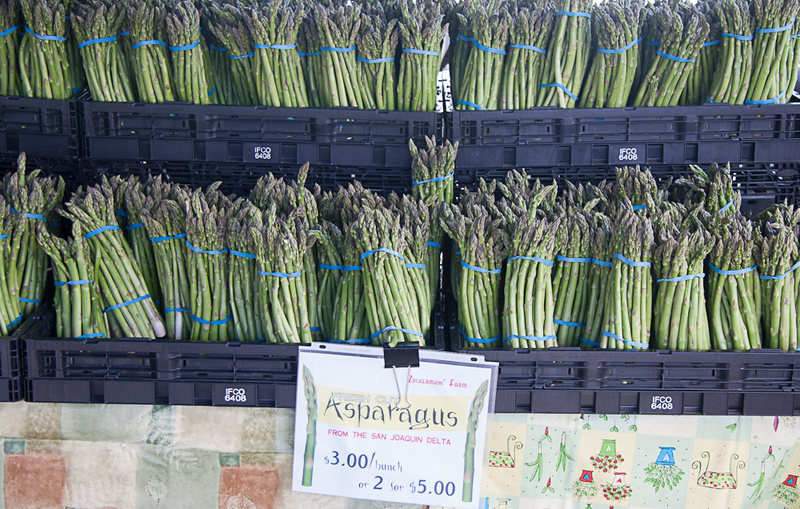 Next stop was the asparagus stall. There were bundles of thick, medium, and thin stalks arranged in orderly rows. 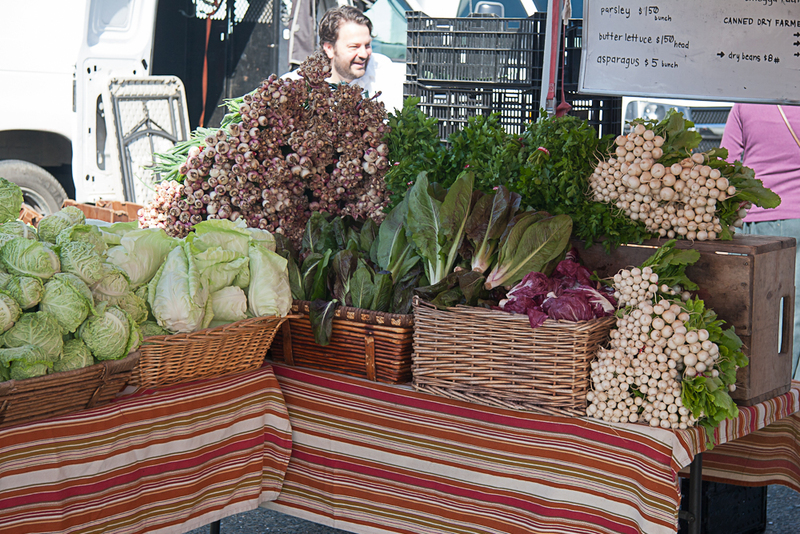 The abundance made it hard to choose, but we finally settled on three bundles of beautiful, thick, fresh stalks before moving down the row of vendors. Fresh dill, thyme, and oregano all made it to our shopping bag. Mushrooms! Baskets filled with all varieties of the tasty fungi. Criminis, whites, Portobellos, oysters, shitakes, and my favorites – lion’s manes. 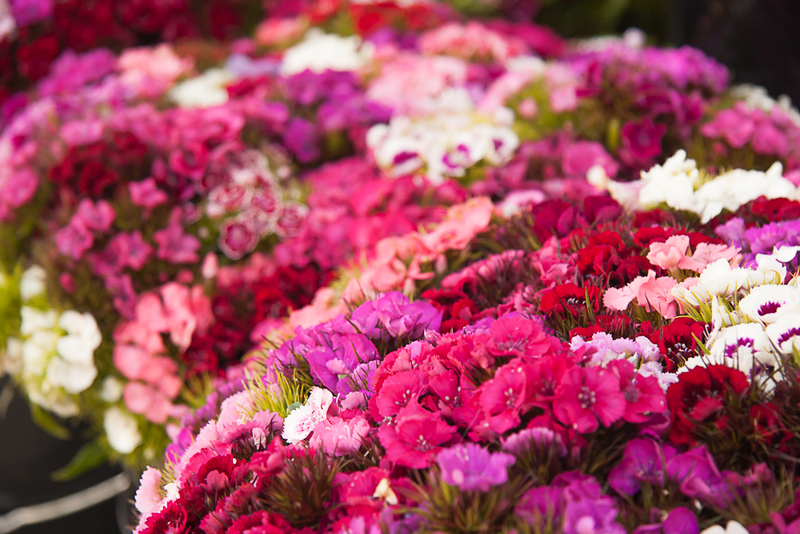 There were some giant royal trumpets, but we chose a basket of the most beautiful small-size trumpets. 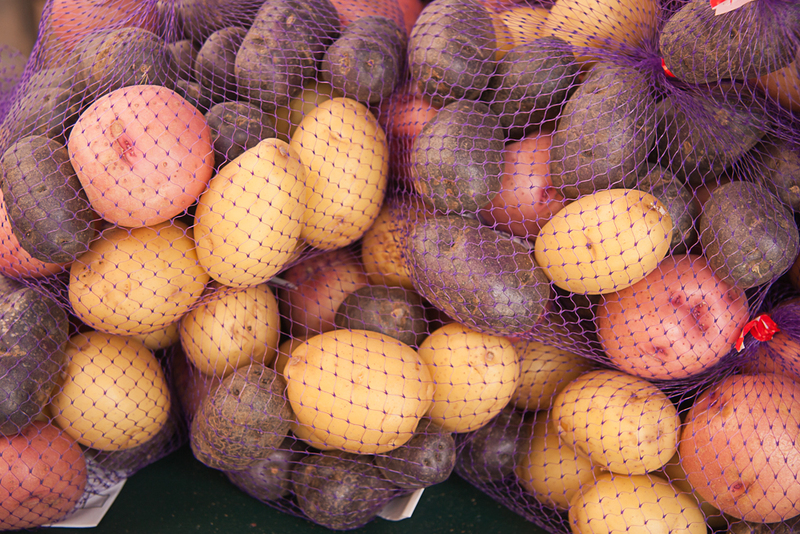 New potatoes in all colors, sizes, and shapes – a good choice for smashed potatoes. 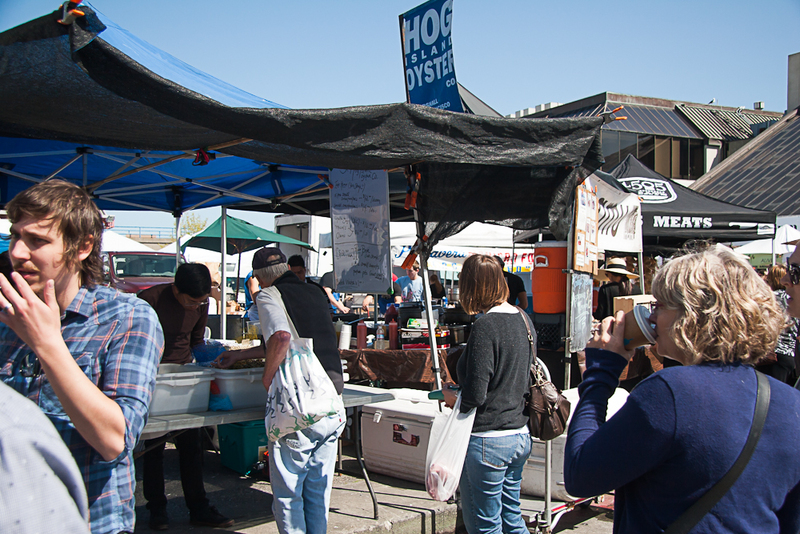 Hog Island Oyster Company http://www.hogislandoysters.com is one of the landmarks of the market. We often go to their restaurant for fresh oysters or clam chowder, but today we went to their food stall. They had choices of small and large local sweet oysters-in-the-shell and some crenelated beauties from British Columbia. Sarah got a dozen each of the small sweets and the BCs. 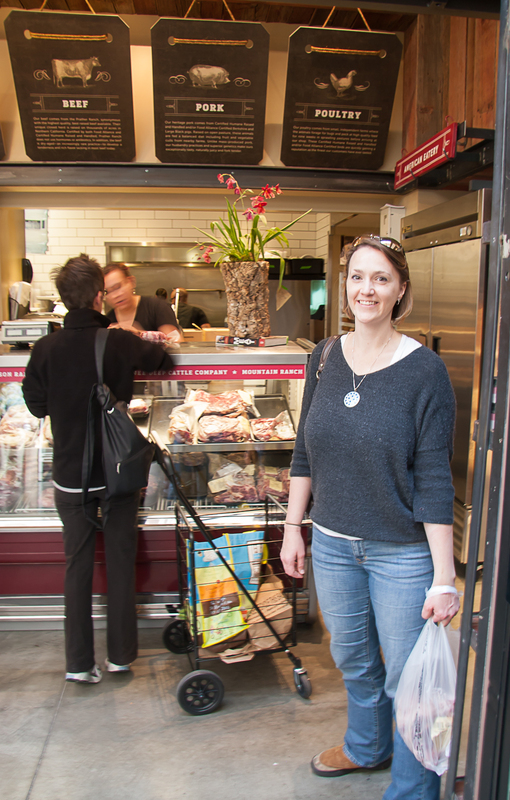 Then we went inside the Ferry Building to the Prather Ranch stall http://www.pratherranch.com where we found some juicy lamb shanks. A little more shopping for green garlic to braise with the lamb shanks and some baby cucumbers to turn into a salad. Then, with shopping finished we stopped off for an early lunch. There were all sorts of choices including fried chicken, porchetta sandwiches, and lots of Mexican food. 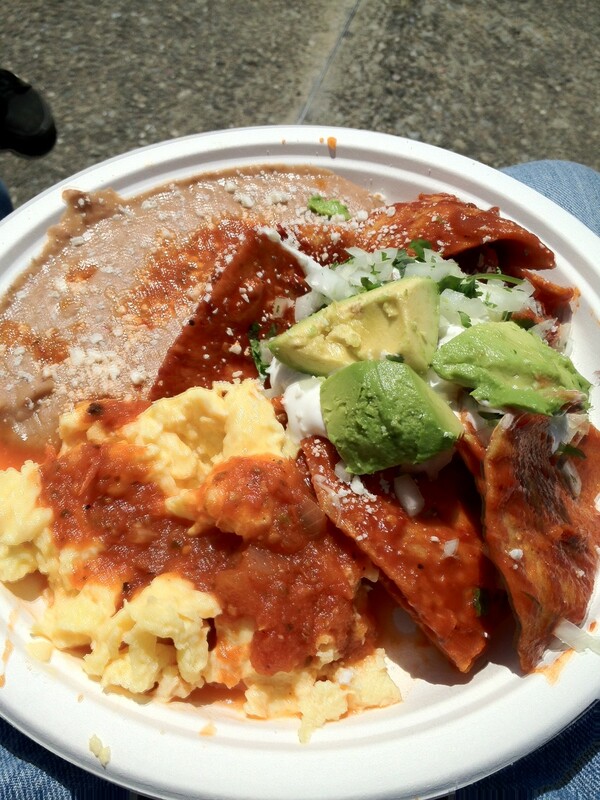 We settled on plates of freshly made chilaquiles to eat al fresco on a make-do seat along a planter wall. Evan loaded up his supply for the restaurant, and Sarah and I packed ours up for what looked like a feast that evening.